The cards are from the 2011 Gridiron Gear set 1-250. Plus Bonus Cards! Possible Rookies and Stars from your team! There are over 60 each of the veterans. 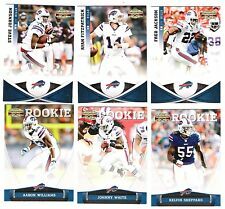 The Rookie cards totals are at least K Sheppard-8, J White-9, A Williams-10. THERE WILL BE COMPLETE SETS, PARTIAL SETS, SET BUILDING LOTS, PLAYERS LOTS AND MORE. 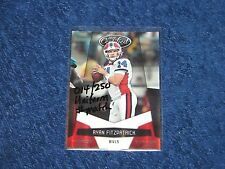 You are purchasing a:Ryan Fitzpatrick Rookies & Stars Longevity Card from the 2012 season. 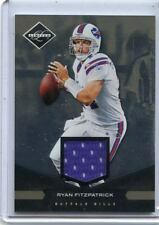 Ryan played for the Buffalo Bills. The card is numbered # 16 in the set. Condition:The card is in near- mint to mint condition. This card is machine stamped#01/49. YES, this is the VERY FIRST card off of the press, considered a. MAKES A GREAT GIFT FOR ANY BUFFALO BILLS FAN! 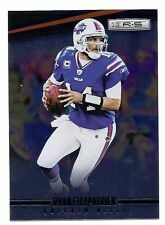 New cards listed every week!All cards are at least nm/mt condition or better, unless otherwise noted.